My most favorite time to walk is in the dark of a snowy night. It’s lovely to step outside my door, shut it to the noise of phones and televisions and music and appliances and instruments and kids, and just be in the quiet that only a snowfall can give. The icicle needles of the trees gently brush the top of my head, and the crunch of my footsteps is muffled under the soft white piles. The flakes tumble down, brushing aside even the sound of my breath, and I am alone in a neighborhood full of people, walking the paths under the trees, amazed that such dazzling nature is right here, in my own backyard. Suddenly a cloud moves, and a single beam of moonlight unmasks the shimmering white beneath and above me, and the world is a blank slate again. I turn towards home, my mind free of the jumble of daily thoughts, thinking only of the keys at my fingertips, ready to create. Tonight I write. Why is it so significant? It happens every year. Four times a year. But it’s poetry catches me off-guard… every. single. time. 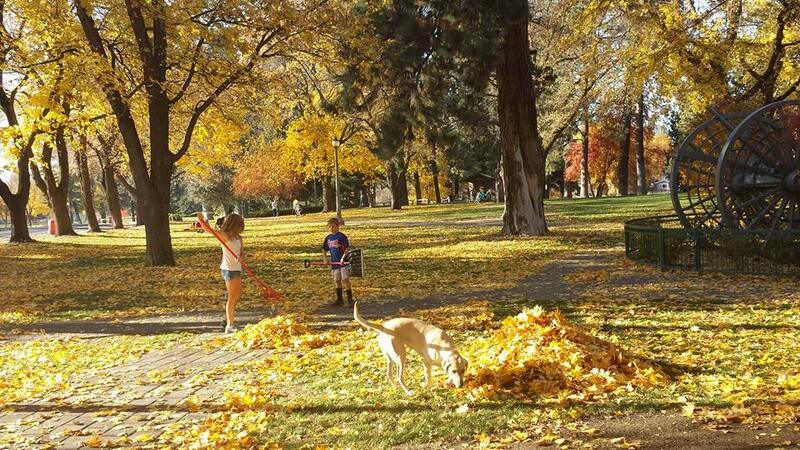 This weekend my kids were playing in beautiful Drake Park, raking the sun-colored oak leaves into giant piles, while more tumbled down all around them. And the sunshine glittered through the half-bare branches and alighted the scene with it’s yellow warmth, and the wind sent up flurries of red and gold into the air around them. It smelled of warm, dry earth and the laughter of kids and the tinkle of bicycles chimed through the air. Fall leaves us so brilliantly, one last shining burst of flaming color and warmth to carry into the white canvas of winter. Today it is snowing. The winds are gone and it is quiet. The frost has touched the metal, the stones, the brick, the dirt, and the wet aroma rushes inside when you open the door. There is already a dusting of white covering every piece of backyard furniture, and I’m watching a family of songbirds scramble to pick every scrap of food that’s left in the cracks between stones. 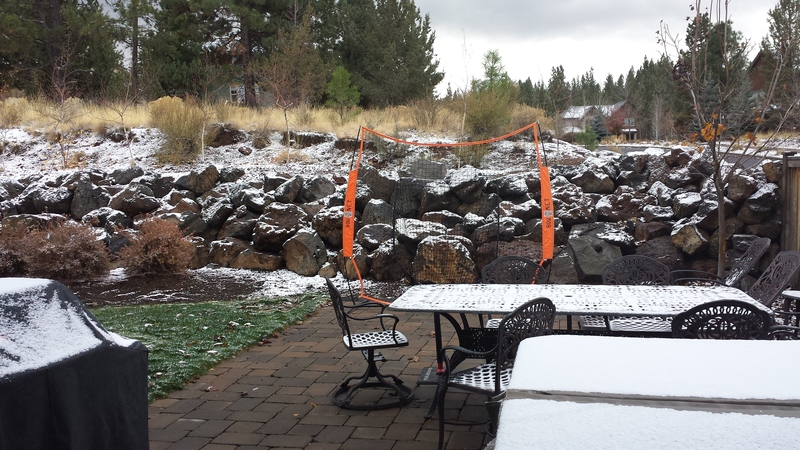 There are only a last few desperately clinging leaves and an unused batting net standing lonely on the patio to remind me that just yesterday.. it was different. 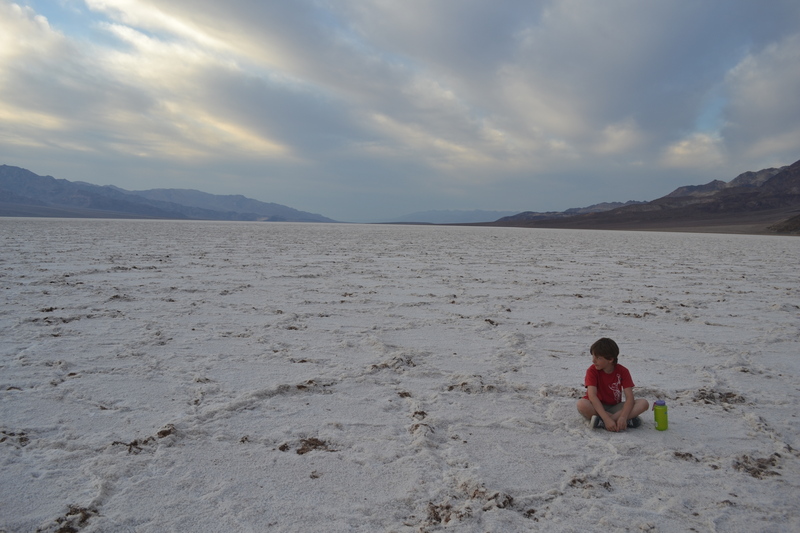 Don’t skip a visit to Death Valley National Park. It’s not a desert wasteland, and it’s not boring or unimportant. The thing is, when you strip away all the conventional notions of what is beautiful, like trees for example, or flowers or other plant and wildlife, you are left with the backbone of the Earth. Rock. Dirt. Salt. Air. Light. It’s like stripping away a person’s hair, clothes, shape, and belongings, and just looking at their raw material: intention, purpose, and perspective. It’s like looking at their soul. That’s what Death Valley shows you, the soul of the Earth. No fluff, no showing off, no fancy ponderings of “look what I can do.” It’s the raw material. The great forces that shape our world are exposed. Rock has been uplifted, torn apart, and stretched down the middle. The exposed crust is baked and cracked in the relentless and unforgiving gaze of the sun. Every drop of water is threatened by the salt that lies just beneath the surface. But despite all of this, the valley is peaceful. It simply exists. The intensity of the light, the framing of the bare mountains, the shading of the colors all make you want to somehow capture it forever, and take it home to remind you what the Earth is capable of, what it started with. The soul knows itself, and it beckons you to stop by and take a look.